We are always on the lookout for the very best prospective staff members to join our team in the future. As a practice we have been growing in each department year-on-year in recent times and so, we are regularly looking to recruit in all areas of the business. Job vacancies will be advertised on this page. Please fill out the contact form and send your CV in online. If you are unsuccessful in your application, or there are currently no jobs available, we will keep your details on file for future reference. Hook Norton Veterinary Group is an independent practice which offers dedicated small animal, equine & farm care across a wide geographical area. We currently have 3 branch surgeries located in Charlbury, Deddington & Moreton-in-Marsh. Our main tier-3 RCVS accredited Small Animal Hospital is based on the outskirts of Hook Norton, with excellent transport links nearby to London and Birmingham (only 1 hour away). All of our surgeries boast state of the art equipment allowing us to offer ‘Gold Standard’ veterinary care including CT, endoscopy and surgical suites. At HNVG we pride ourselves on our client retention and clinical decision making, rather than focusing solely on achieving rigid sales targets. 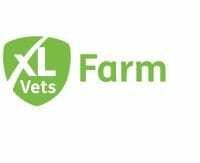 Due to business growth, we have an opportunity for an experienced and ambitious Small Animal Veterinary Surgeon to join our friendly and dedicated team. 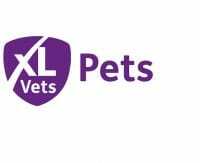 We allow complete clinical freedom to manage and work up cases, with support and training from experienced vets, should the need arise. 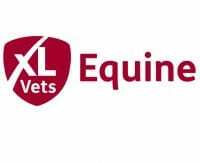 Mentoring is offered via designated internal staff and external support through the XLVets mentoring scheme. We actively encourage medical/surgical development for all stages in your career whether you have experience or are newly graduated. This job role will require working at our main hospital as well as branch surgeries, with realistic 15-minute consults. The role includes working in our OOH rota which is shared with another practice, which equates to working only 7 weekends per year. The ideal candidate will have a minimum of 2 years of experience in a similar job role, have a clean driving licence and be a team player with high clinical aspirations. However, we will also consider applications from recently qualified, high calibre graduates. This is a great opportunity for a good work/life balance, providing the time to join in with our vibrant local community & enjoy the fabulous Cotswolds. We have great local facilities, schools and lots of cosy pubs! For more information about the practice please look at our website www.hooknortonvets.co.uk. We are looking for an enthusiastic registered veterinary nurse or 2nd year diploma student to join our 1st opinion, well-established, rural Practice. We are a friendly and sociable team and are recruiting due to expansion. This is a full-time position with a 1:6 weekend rota and one night on call in the week. Accommodation is provided for you when on call. Hook Norton Veterinary Group is an independent practice which offers dedicated small animal, equine, & farm care across a wide geographical area. We currently have 2 branch surgeries located in Charlbury & Deddington, with a new one opening in the spring. 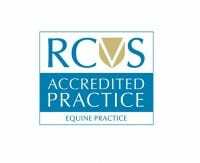 Our main tier-3 RCVS accredited Small Animal Hospital is based on the outskirts of Hook Norton and boasts state of the art diagnostics equipment, including digital and dental x-ray, endoscopy, ultrasound, capnography and an in-house laboratory. The laboratory is manned by lab technicians and full training will be provided to cover out-of-hours. Please view our website to get a feel for the Practice. If you are interested or would like more information please email CV to sophie.williams@hooknortonvets.co.uk. Please do not reapply for this position if you have already submitted your CV. Hook Norton Veterinary Group offers specialist Small Animal, Equine, & Farm 24-hour care across a wide geographic area. In addition to our Hospital facility at Hook Norton, we have 3 branch surgeries located in Charlbury, Deddington and Moreton In Marsh, bringing unrivalled veterinary care to the surrounding villages. Due to the continued growth of our Small Animal Team, we are recruiting a Dispensing Assistant. The role will be predominantly based in the Hook Norton Practice but travel to other branches may be required. The role is suited to a Vet Nurse or SQP, but essentially must have a minimum of 2 years dispensing experience. The successful applicant will be rewarded with a competitive salary, 3% pension contribution, 5.6 weeks holiday per year, uniform, continuous training, CPD allowance and a generous staff discount. The hours of work are fairly flexible but ideally 25-30 hours per week, split over Monday – Friday. Hook Norton Veterinary Group offers specialist Small Animal, Equine, & Farm 24-hour care across a wide geographic area. We have recently expanded and now have additional branch surgeries located in Charlbury, Deddington and Moreton In Marsh, bringing unrivalled veterinary care to the surrounding villages. Following a recent restructure, we now have a vacancy for a Small Animal Head Receptionist based predominantly at our main Veterinary Hospital in Hook Norton with regular travel to our branches. This is an exciting opportunity for an experienced, well presented and highly organised Head Receptionist with outstanding people skills who is looking for a new challenge. Currently, we have a large, established Small Animal Reception Team who deliver outstanding levels of customer service across our branches. This role will be to lead and continue developing this team to be as effective and efficient as possible. The right candidate will be hands on and be an integral part of delivering the best customer service experience. Using exemplary customer service skills, they will be a quick thinker to resolve any internal or external escalations. Managing an onsite and remote team, the ideal person will be able to fully engage their team regardless of where they are based. They will recognise and develop the skills within the team and be able to motivate and delegate where appropriate. We operate extended opening hours and weekends, therefore extensive experience of managing complex shift patterns and scheduling to ensure the right balance of resources is essential. Being based in a clinical environment, the role involves other key responsibilities such as overseeing the accurate handover of dispensed medications, adhering to strict protocols, regular staff training and an understanding of sensitive situations. • A minimum of 2 years’ experience of successfully managing a large team preferably gained within a customer service environment. • Effective communication skills; is it vital you can provide clear and precise instructions when communicating with your team and be able to communicate with all clients in a sensitive manner. • Demonstrable IT Literacy and ability to quickly learn new systems. Closing date for applications is 1st May 2019, interviews will be held shortly after. Hook Norton Veterinary Group offers specialist Small Animal, Equine, & Farm 24-hour care across a wide geographic area. We have recently expanded and now have additional branch surgeries located in Charlbury, Deddington and Moreton-in-Marsh, bringing unrivalled veterinary care to the surrounding villages. Following the recent expansion and restructure, we now have opportunities for additional Small Animal Receptionists. The role will involve working at our main practice in Hook Norton and other branch locations. To be successful in the role, you will have outstanding people skills combined with a friendly telephone manner and the proven ability to handle both sensitive and challenging situations. You will thrive in a fast paced environment where multi-tasking and responding to urgent requests in a calm and efficient manner won’t phase you and you will relish being part of a large, well established team. This is a varied role and in addition to greeting clients and call handling, you will undertake dispensing duties, stock rotation, appointment management and processing payments as well as maintaining a clean and tidy reception area. Full training of our practice management system will be provided but it is essential that you are a competent IT user and you can quickly pick up new systems. Being based in a clinical environment, the role involves other key responsibilities such as handling dispensed medications, adhering to strict protocols and an understanding of sensitive situations. Supporting young and upcoming vets is a big part of our mantra at HNVG. Please see our work experience listings for placements at HNVG.